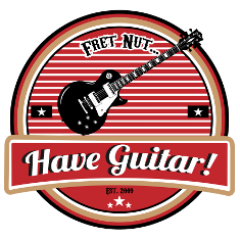 addictive drums 2 Archives - Fret nut... Have Guitar! Home studio setup from Have Guitar! As I said in the video – I have gotten asked many times now, what is my setup? No more writing long explanations to answer that, now I will refer to this video. Now don’t take that in the wrong way – if you have any questions you are more than welcome to contact me and I will reply. And yes, I know I said “saffire” instead of “scarlett” regarding the sound card in the video. I do that all the time, might be I’m sick and in need of help. I do hope you liked my video and if you do, please support my channel by subscribing! And to you already subscribing – Thanks, always appreciated beyond words. Author adminPosted on March 2, 2018 Categories HowTo...Tags addictive drums 2, focus scarlett 6i6, free vst, fret nut, Groove monkee, have guitar, home studio setup, reaper daw, xln audioLeave a comment on Home studio setup from Have Guitar! Here’s a short but useful how-to-video for Reaper. This video will show you how to route the drum channels in XLN Audios Addictive Drums 2 to audio channels in Reaper. Why would you like to do that?! Well, Addictive Drums 2 have some nice effects built in… but what if you want add your favourite compressor to the bass drum? Or if the overhead need some lovin from your prefered EQ? You don’t have to export the drums and import them as audio tracks – instead you can just add the effects to the routed audio tracks directly – that’s why! This is Have Guitars first “Reaper video” and hopefully there will be more. The version of Reaper in this video is v5.40. I’ll need to find a way record video from the screen rather than just using stills, in this video I tried Flashback Pro 5 but it would not record the audio. Working on that.